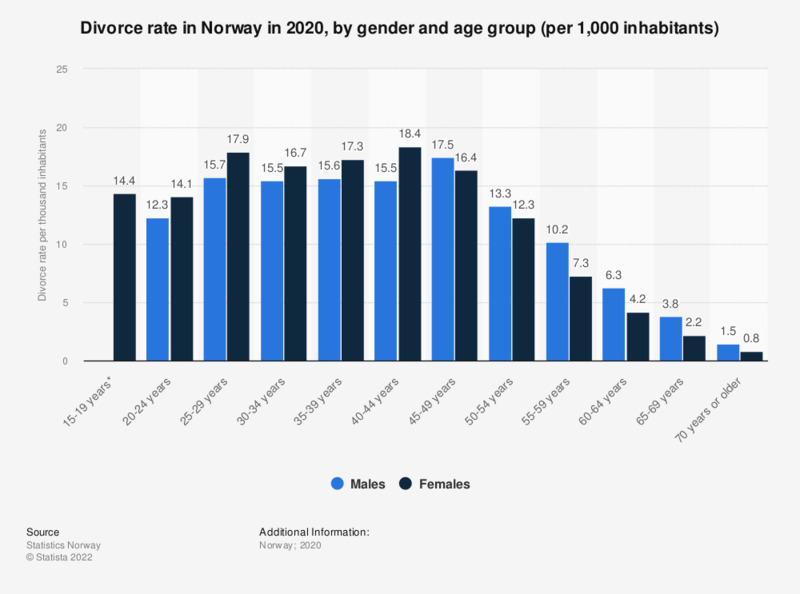 The statistic shows the divorce rate in Norway in 2017, by gender and age group. The divorce rate was highest among females aged 35 to 39 years old (18.1 divorces per 1,000 females). Among men the divorce rate was highest in the age group 45 to 49 years (17.3 divorces per 1,000 males).